ASUCR held its first meeting of the quarter on Wednesday, Oct. 3, and started the quarter off by filling the vacant CNAS senator position with third-year biology major Kenneth Vongdi. 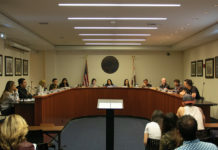 The meeting saw public comment from various organizations such as CALPIRG about voter registration initiatives. In order to familiarize this year’s senate with the staff, several ASUCR staff members introduced themselves so as to help senators navigate towards potentially useful resources. 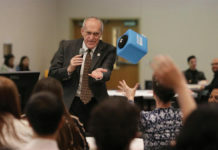 After moving to approve the finance committee staff, a special election was added to the agenda in order to fill a vacant CNAS senatorial seat. 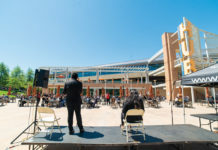 During ex-officio reports representatives from the Middle Eastern Student Center spoke about their initiative concerning racial and ethnic self-identification on applications for on-campus jobs and graduate students. They want to add at least one new category called “Middle Eastern, North African” or MENA, reflecting similar choices such as the “South Western Asian North African” or “SWANA,” category being added elsewhere. According to the representatives there are people who feel as though the choices for race and ethnicity on job or school applications are too limited and often people will identify as ‘white’ despite not actually identifying as such. ASUCR President Semi Cole then gave a broad overview about goals and efforts of the ASUCR while also welcoming the new senate. He spoke about wanting voter registration initiatives to be undertaken, as well as a potential plan to promote CPR training for people in various leadership roles, such as fraternity members. He also talked about a potential program to help connect the homeless to relevant services. Next, Elisa Chang, the UCR Chapter Campus Relations Coordinator of CALPIRG, spoke about the initiatives her organization is promoting, including Save the Bees, Voter Registration and Affordable Textbooks. Shortly after, Dr. Brian Haines introduced himself as the new Vice President of Student Affairs and also encouraged everyone to register and vote. His office is located in Hinderaker 2108. Official business saw the finance committee approved and the next item was a review of the budget meeting where $9,291 were allocated to five different organizations including a Chinese student organization, Project Sunshine and the Society of Women Engineers. Twelve organizations await approval for next week. Next on the agenda, the special election was held to fill the CNAS senatorial seat. Two candidates, Vongdi and second-year biology major Zachary Lipps each gave a speech and answered a few questions. After a ten minute closed session, Vongdi was elected by a vote of 8-0-4. During public comment Tina, the chapter president for Period, an activist group who strives for more menstrual care options for women, addressed the senate in hopes of collaborating on ways to get more free menstrual products in bathrooms across campus. After no further announcements the meeting was adjourned at 7:28 p.m.
ASUCR meets every Wednesday at 6:30 p.m. in the Senate Chambers on the second floor of the HUB in room 221. Editors note: This article originally stated that Kenneth Thai was elected to fill the CNAS senatorial vacancy, however it was actually Kenneth Vongdi. This correction was made Oct. 9.